An explosive device, reported to be a pipe bomb, has been detonated outside Dallas' police HQ after a suspect in what is thought to be an armoured car fired shots on the building. After the van fled from the scene it was tracked to a fast food restaurant's car park in south Dallas, where Swat teams are negotiating with a suspect. Local reports say that more than one "suspicious package" has been found near to Dallas Police's headquarters. Dallas Police Chief, David Brown: "motive for attack is not yet known". Eyewitness footage captured the moment when suspects rammed a police car in its efforts to escape from outside Dallas Police's headquarters. Dallas Police chief, David Brown, has held a conference to provide an update to reporters about what authorities know so far. A suspect in the armoured van is alleged to have identified himself to police as James Boulware. 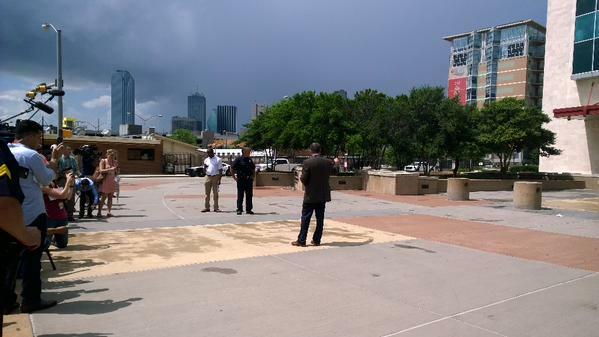 Suspicious items have been found scattered outside Dallas Police headquarters. The item detonated when it was approached by an explosives robot. Two other suspicious items have been found: one in a dumpster at a north-east substation and another underneath a police vehicle at headquarters. One has been detonated by the authorities with no injuries. Police have evacuated nearby residents who live in the South Side on Lamar apartments across the street from police headquarters. A suspect, who identified himself to police as James Boulware, is the same name as the man who was arrested in 2013, Dallas Morning News reports. He allegedly had obtained firearms, ammunition and body armour and threatened to attack his family, churches and schools. Police said in 2013, that he was taken into custody on two fellony warrants but it appears the case was dismissed last year after he fulfilled requirements imposed on him by a court. Grainy footage of the police having chased the "amoured van" to a car park in Hutchins, near to Dallas. Local reports are emerging that the van is a "Zombie Apocalypse Assault Vehicle and Troop Transport" bought last month from Georgia-based company Jenco Sales Inc.
Dallas Police have brought in their K-9 unit to check whether there are any other suspicious packages around Dallas Police's headquarters. 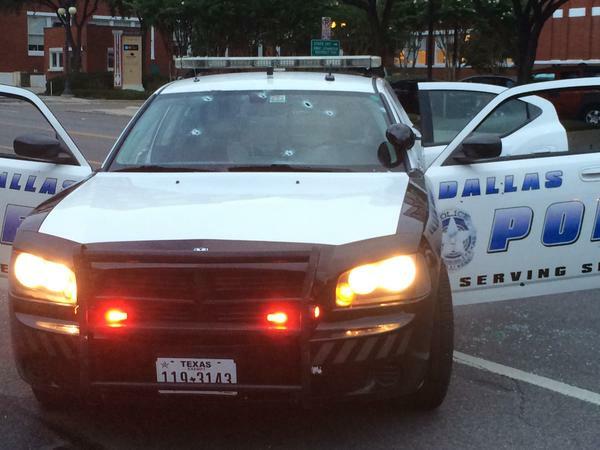 Dallas Police have released images of the squad car that suspects shot at. No officers have been injured. 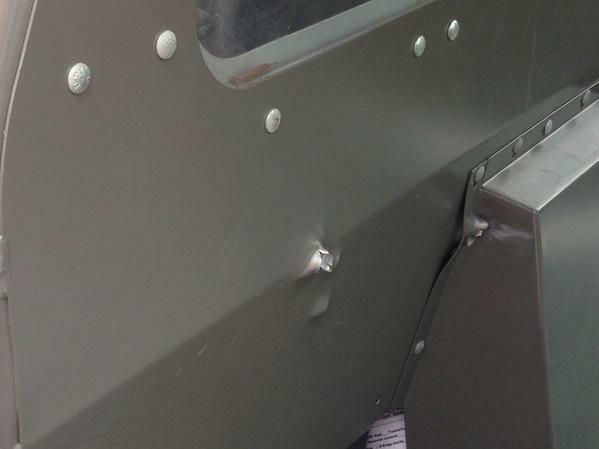 Negotiations with at least one suspect in a car park in Hutchins, close to Dallas, are still ongoing after Swat teams disabled the "armoured van"
The site where one of the items was left by suspects. It detonated when it was approached by a bomb disposal robot. 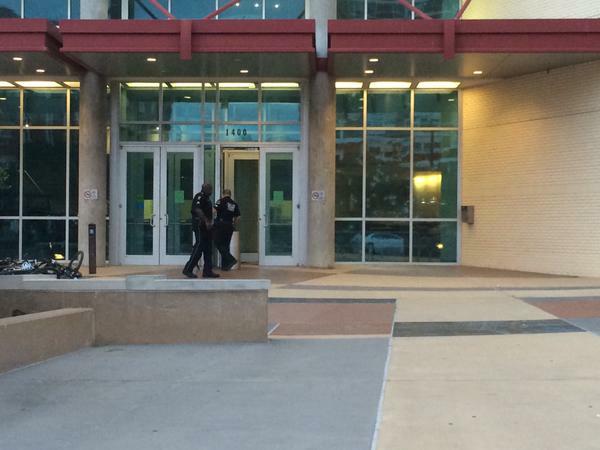 Police are currently asking evacuated residents around the Dallas Police headquarters to remain patient. Delays are currently occurring as police check the area surrounding their Dallas headquarters to make sure that no additional explosive devices have been left by suspects. Officers have brought in K-9 units to help sniff out the presence of any unexploded devices. 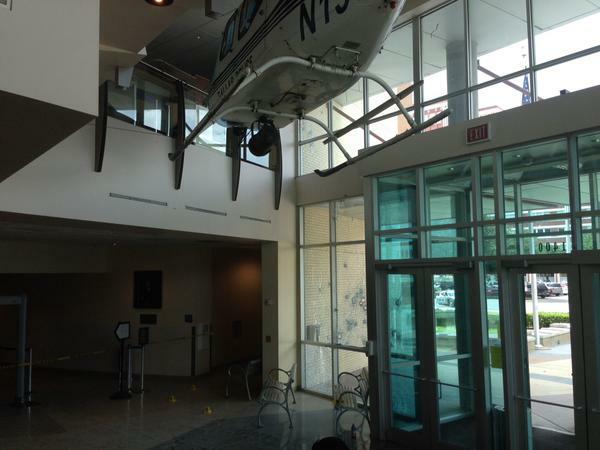 Several bags were found scattered around the headquarters in the aftermath of the shooting. Police have continued to maintain a lockdown on Interstates 45 and 20 due to negotiations taking place between Swat teams and at least one suspect that opened fire on the Dallas Police's headquarters at 12.30am. 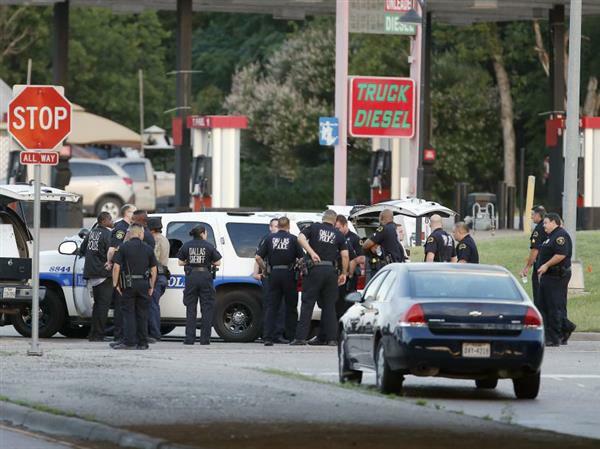 Dallas Police will give a press conference at 8.30am (14.30BST) in City Hall to brief the press on the situation currently unfolding in a fast food car park in Hutchins, 10 miles south of Dallas. 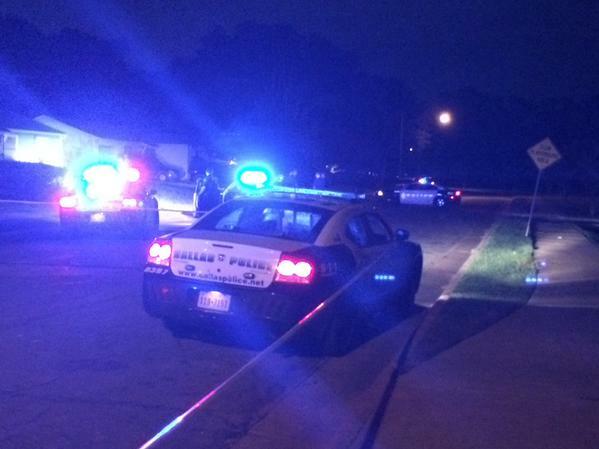 Dallas Police are currently unsure whether the suspect is injured or deceased. Police negotiators have been in contact with the suspect via mobile phone. The suspect in the "armoured van" has been named locally as James Boulware, who police have said was previously known to them. Focus now appears to be on the standoff between a suspect and police south of Dallas, as residents near to police headquarters have been allowed back into their homes following a search for additional explosives. Police managed to shoot the engine block of the suspect vehicle to disable it. Police speculating whether the suspect is alive at press conference. 0507 PD Sniper shot @ suspect through front windshield of van. Suspect may be hit. 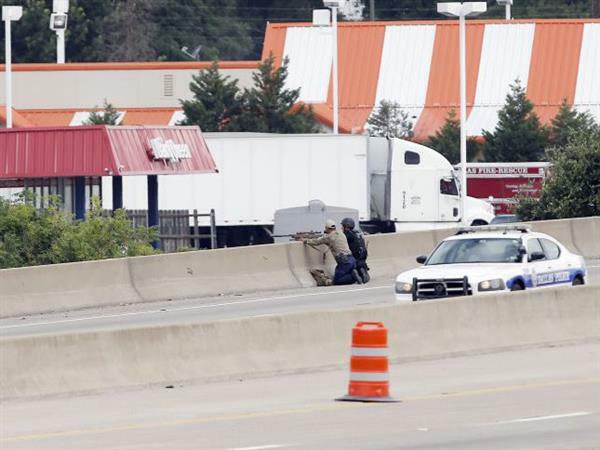 A sniper and a tactical officer take up positions on the shoulder of Interstate 45 at Dowdy Ferry Road during a stand off with a gunman barricaded inside a van at a Jack in the Box, in Hutchins, Texas. 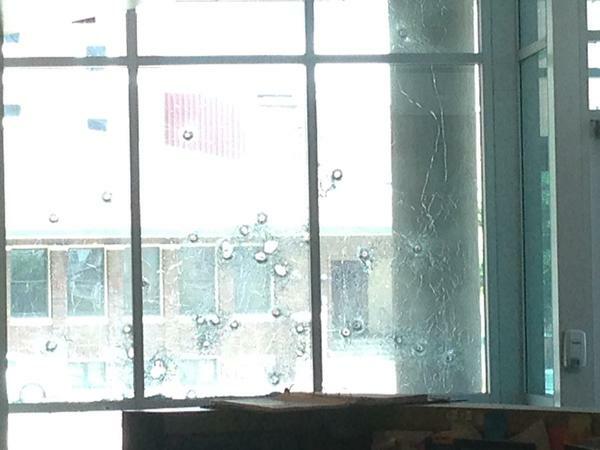 The gunman allegedly attacked Dallas Police Headquarters. (credit: Brandon Wade/ AP). Police Chief David Brown is explaining to reporters the decision to shoot the suspect. It was on again off again negotiations. When negotiations were on he began increasingly angry. We were increasingly concerned for our officers trying to negotiate with him. Our Swat team made the call and I believe it was the correct call to stop his violence. 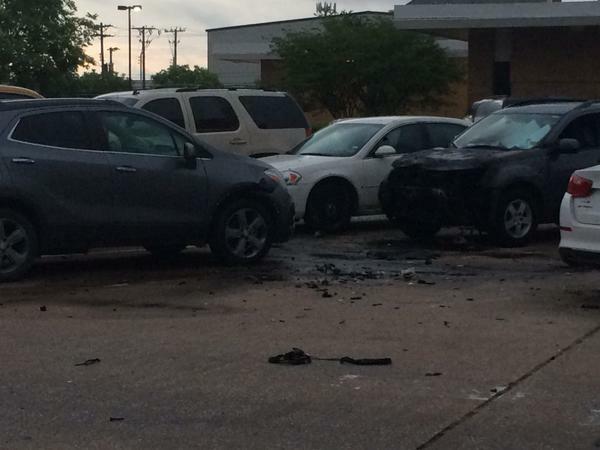 The suspect told police that he had c4 explosives in his van. Based on this, Police Chief David Brown said that officers "didn't want to call his bluff". Police have refused to confirm the identity of the suspect, who is a 200lb white male, about 5'10". When bomb disposal robots have verified that the vehicle is not rigged with explosives, they will be able to confirm the identity. Initially, the suspect called 911 and left a rant on the 911 number. Police negotiators were then able to get in contact with the man to speak to him, police say. "He was rambling quite a bit and it entailed quite a bit of anger," Police Chief David Brown says. Footage of the Dallas Police's bomb disposal robot attempting to breach the side window the suspect's "armoured van". 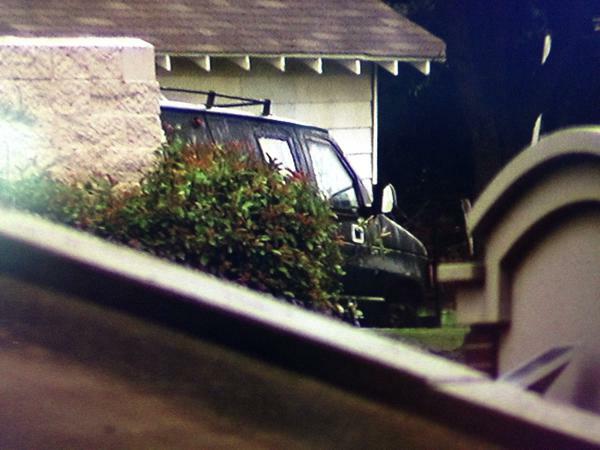 FBI agents now changing tactics and are approaching the suspect's van. No reports as yet as to whether the suspect is deceased. Dallas Police have now deployed police with high powered rifles to fire at the "armoured van" in order to break its windscreen. Dallas Police have managed to open the windscreen of the suspect vehicle and will now "utilise an explosive water charge" to render any explosives in the vehicle inert. Dallas Police have tweeted an update on the suspect's condition. Bomb disposal technicians believe that the suspect used "black powder" in explosive devices and that no C4 was used. Suspect's mother has spoken out about the incident that saw shots fired at Dallas Police's headquarters and explosive devices scattered around the building. Police have said that the suspect is likely deceased, although initial reports are still to be confirmed. 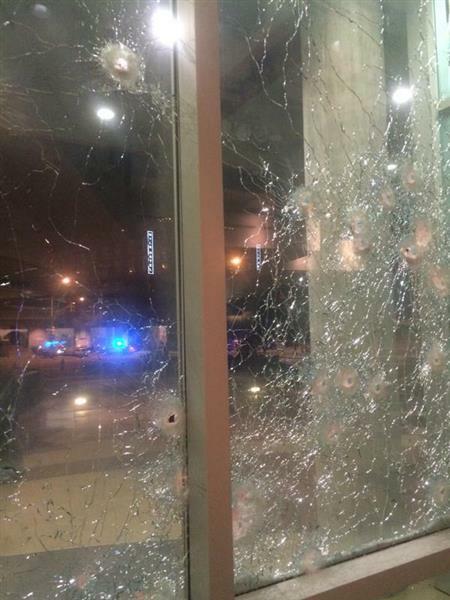 Photos taken from inside Dallas Police station show the damaged caused to the building. Police say that additional pipe bombs have been located inside the suspect's vehicle, while new images show the damage done to the police car attacked by the suspect, who is believed to have been killed. Dallas Police have confirmed that the suspect is dead. We are now awaiting the results of a medical examination that will confirm the gunman's identification. More information is emerging from police regarding the pipe bomb blasts. At least two additional explosives were discovered in the suspect's vehicle, and later disposed of. 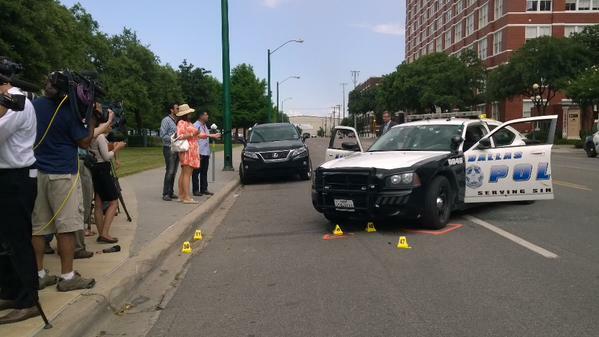 More photographs are being released as the police guide members of the press through the scene of today's shooting.